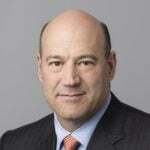 Controversy In July 2018, he was accused of deceit to gain popularity. His students had leveled charges of deceit on him. Some of the students alleged that Anand Kumar projected an inflated success rate of his coaching centre by making a misleading claim that 26 out of 30 students had cleared the IIT JEE Exam in 2018. The students said that only 3 from Super-30 batch could qualify for IIT JEE. 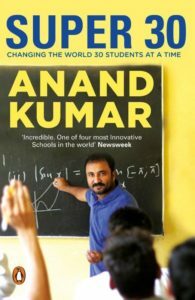 The whistleblower students said that when students from different corners of India approached Anand Kumar to get themselves enrolled at the Super-30, he would divert them to another coaching institute named Ramanujam Mathematics Classes. 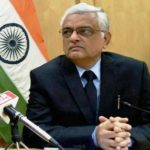 The students were directed to attend the Institute for one year by paying a handsome fee before getting into the Super-30 after which their fee would be returned, however, the fee never returned to them; as claimed by the father of one of the students. In this vicious cycle, Anand Kumar gets fame; even after the successful students belong to some other institutes. 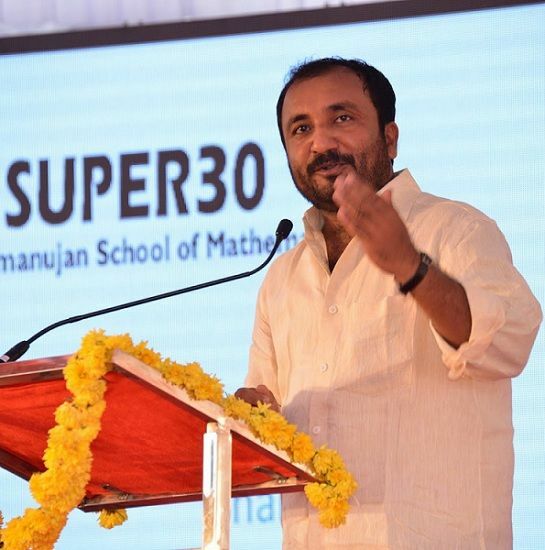 However, Anand Kumar refuted all these claims by saying that it was an effort of his rivals to malign the repute of his Super-30. Since his childhood, he wanted to become a mathematician and to do something new in the field of mathematics. 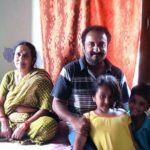 Anand completed his schooling from a Hindi Medium Government School, where his love for mathematics began to take roots. 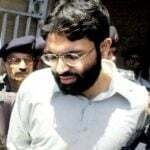 Cambridge and Sheffield University offered him to study there, but he could attend none owing to his father’s death at that time and also the financial condition. 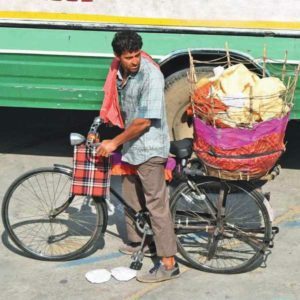 To cope with economic issues, Anand’s mother began selling homemade ‘Anand Papad.’ Anand used to deliver them in the evening after attending his college. 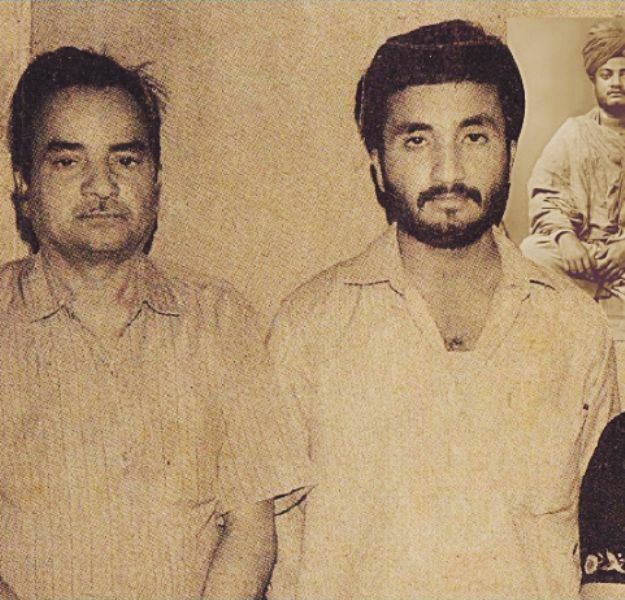 After his father’s demise, he was offered a job from the postal department, where his father was a clerk. However, he declined the offer and instead started to teach Mathematics to the underprivileged students under the banner of Ramanujan School of Mathematics. 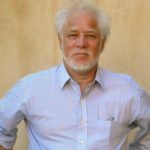 Just to read some journals on Mathematics by foreign publishers, he used to travel all the way to Central Library, BHU in Varanasi on Friday and come back home on Monday mornings; as they were not available at the Patna University. During his graduation, his papers and submissions on Number theory were published in The Mathematical Gazette and Mathematical Spectrum. 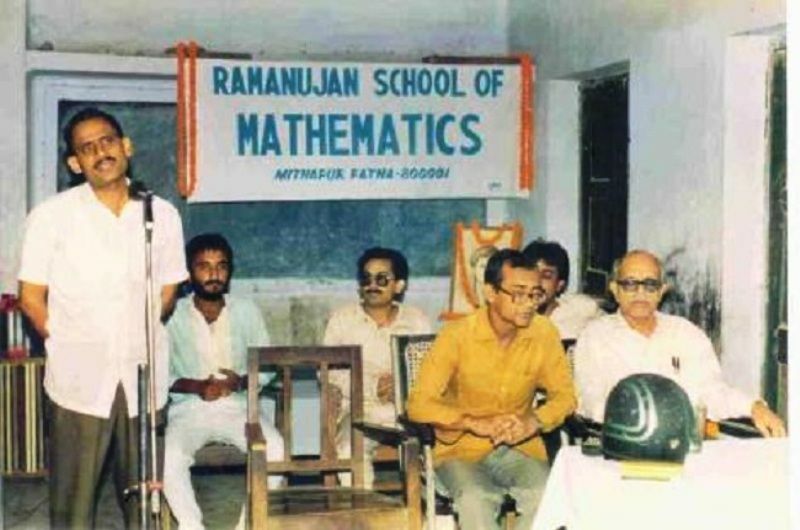 In 1992, Anand rented a classroom for INR 500 a month where he began his Institute ‘Ramanujan School of Mathematics.’ The number of students from 2, in the beginning, went on to nearly 500 in just three years. 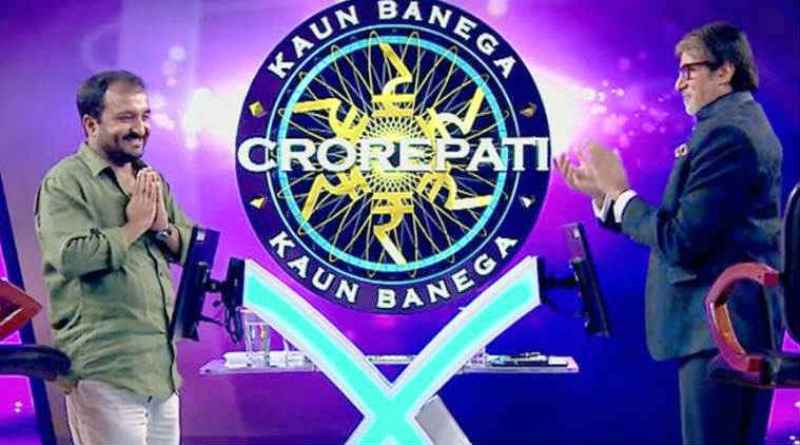 In early 2000, a financially weak student approached him for the coaching of IIT-JEE. 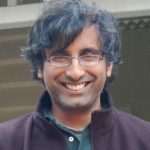 He could not afford the annual tuition fee, which at that time was INR 4000. This gave Anand an idea of the Super-30, an institute he now runs. Super-30 came into existence in 2002. 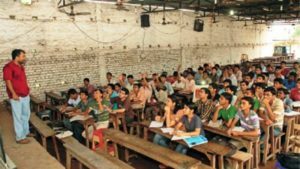 Ramanujan School conducts a competitive exam every year to pick up 30 students from underprivileged sections for Super-30, where the students get free education, study material, food, and living space for a year. His mother prepares food for the students and brother looks after the management. 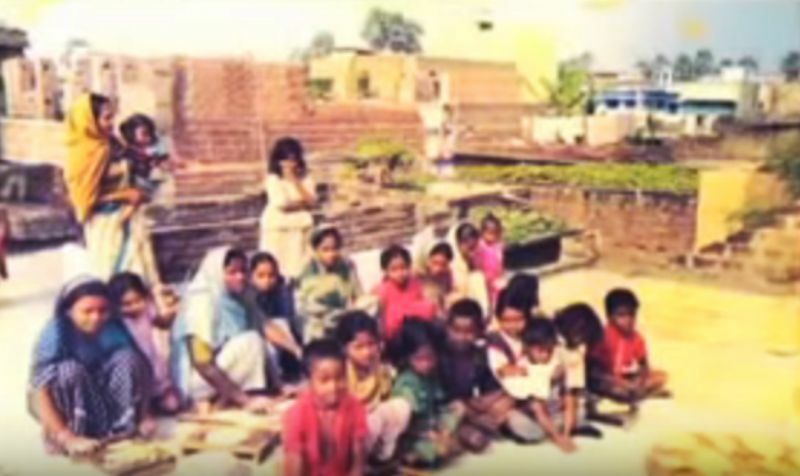 In March 2009, a one-hour-long programme on Super 30 was broadcast by the Discovery Channel. 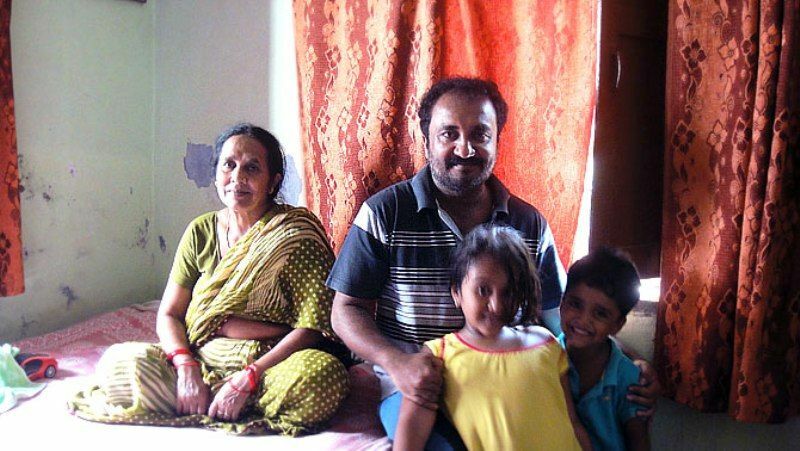 Anand Kumar has also been featured in programmes by the BBC. For providing free coaching to the underprivileged, he was listed in the Limca Book of Records (2009). In 2010, Bihar Government awarded him its top award- Maulana Abul Kalam Azad Shiksha Puraskar. The same year, Time magazine included Super 30 in the list of Best of Asia. 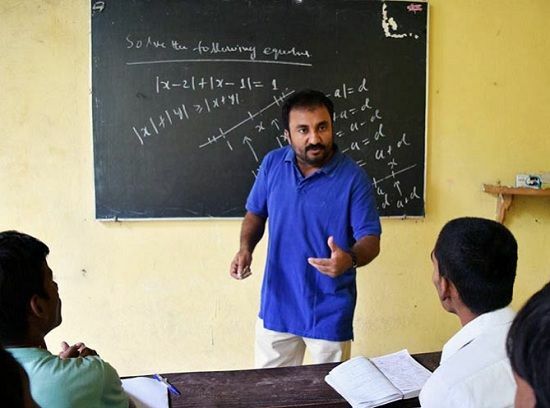 The United States of America’s former President Barack Obama‘s special envoy Rashad Hussain termed Super 30 the “best” institute in the country. 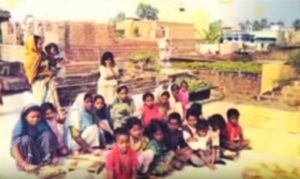 In the 2011 Bollywood film titled Aarakshan by Prakash Jha, Amitabh Bachchan’s role was inspired by Anand Kumar and his Super 30. 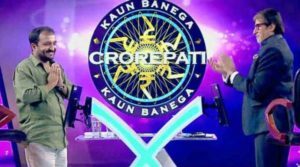 In 2017, he appeared on the popular Indian Quiz Show, Kaun Banega Crorepati (KBC) hosted by the Bollywood Megastar Amitabh Bachchan. 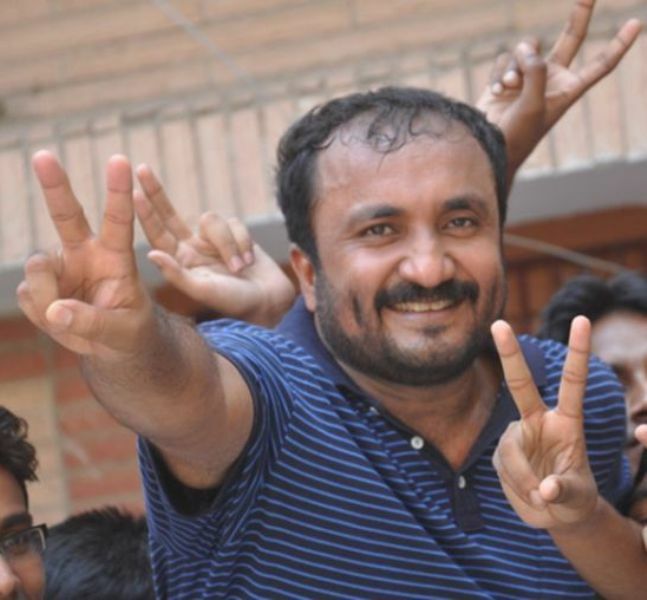 Al Jazeera also covered a documentary on Anand Kumar and his Super 30. In recognition of his accomplishments with underprivileged students, Karpagam University conferred on him the Honorary Doctorate of Science (DSc) in December 2014. 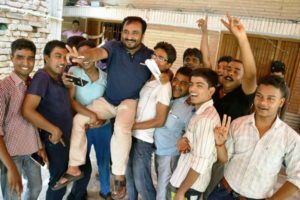 The first batch of Super 30 produced 18 students who qualified the IIT JEE Examination, 2nd batch 22 students, 3rd batch 26 students, 4th batch 28 students, 5th batch again 28 students, and in the next 3 batches, all the 30 students qualified the prestigious IIT JEE Examination. Since its inception in 2002, 308 of the total 360 students till 2014 have made it to the place they came to prepare for in the Super-30. After he rose to fame, many established coaching mafias of Patna tried to assault him. 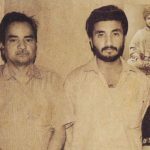 In one such incident, when armed criminals attacked Anand Kumar, he had a narrow escape; however, one of his non-teaching staffs was seriously injured. 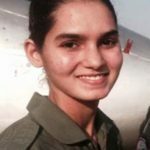 After the incident, the Government of Bihar provided him two security guards. His dream is that his students win the Nobel Prize. 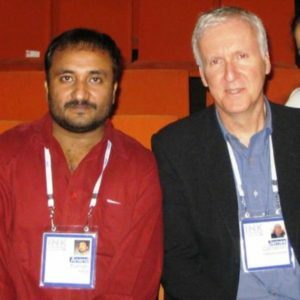 Many filmmakers have approached him to make a film on his Super 30, and he wished that if James Cameron could make a film on his Super 30. Norika Fujiwara, former Miss Japan, and famous actress visited Ramanujan Society of Mathematics for a documentary film on Super 30. 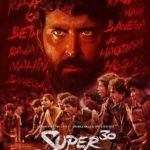 His biography, named “Super 30: Anand Kumar” written by Canada-based psychiatrist Biju Mathew, was published in the Hindi language by Prabhat Prakashan and in English by Penguin Random House in 2016. 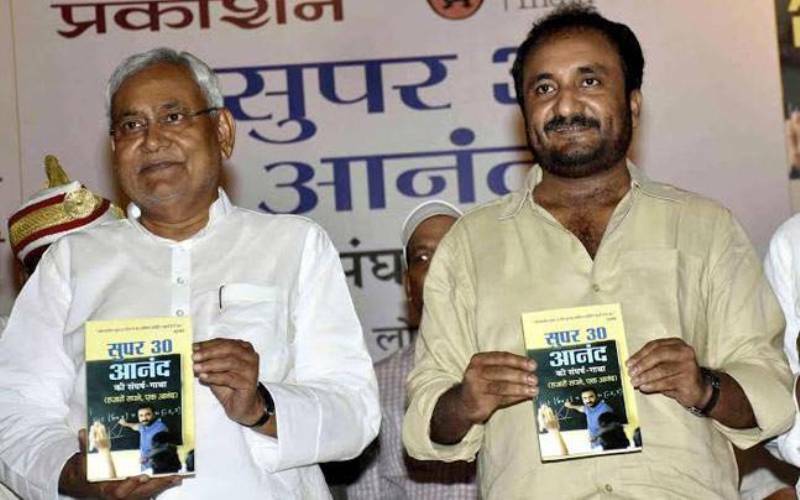 The book was released by the Chief Minister of Bihar Nitish Kumar. In 2018, a biopic on Anand Kumar was announced; directed by Vikas Bahl and starring Hrithik Roshan as Anand Kumar.